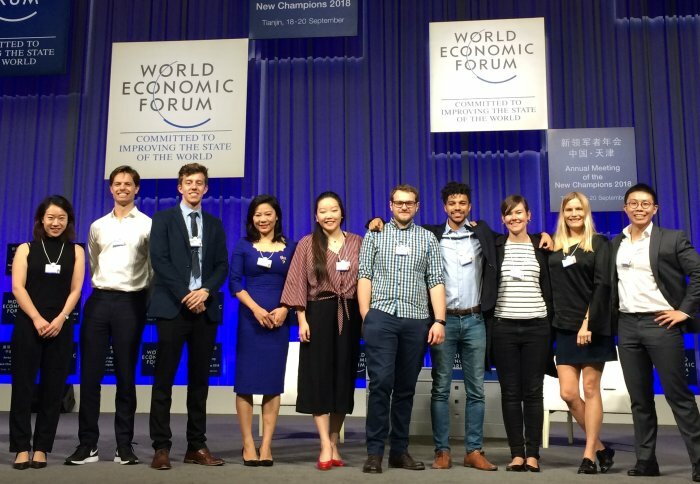 Ten student teams from Imperial’s Enterprise Lab showcased their ideas to global leaders at the World Economic Forum in China. The entrepreneurs were invited to the Annual Meeting of the New Champions in Tianjin – the first time that a student delegation from Imperial has attended the Forum. The teams spoke on expert panels at the entrepreneur hub and discussed their innovations and ideas around themes including med tech, clean tech and women entrepreneurship. The Forum is attended by some of the most influential leaders, politicians, business people and CEOs, such as Alibaba’s Jack Ma. Between seminars the teams met with the UK’s Secretary of State for Health and Social Care Matt Hancock and Mayor of Greater Manchester Andy Burnham, to discuss their cutting edge innovations. 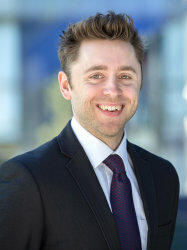 Ben Mumby-Croft, Director of Imperial’s Enterprise Lab, said: “This trip was a great opportunity for our students to learn about the key trends that will shape the world economy in coming years and how this could impact their business. Nate Macabuag, from prosthetic wearables startup Mitt, said: “There was a real sense of collaboration at the Forum and everyone wanted to offer their advice and help. “The Chinese Premier Li Keqiang gave an incredible speech. I learned that things can happen really quickly in China. You only have to look at how Shenzhen has grown in the last ten years. “I met so many potential collaborators, investors and manufacturers that were all excited about our product and that hugely accelerated our global reach. “It was heart-warming meeting Imperial alumni. They are people I've never met before but are completely ready to pass on advice and help you out. Imperial’s Vice President David Gann was also invited to the Forum to speak about ‘playful entrepreneurship’, the theme of his new book. 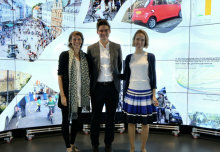 Three Imperial academics also presented an IdeasLab session on air pollution challenges and solutions. During their visit to China the student entrepreneurs also visited Shenzhen, home of China’s emerging tech giants, where they met businesses, investors and alumni. They had tours and workshops at businesses including the HAX accelerator, electronics and mobile company Oppo and electronics manufacturer Konka. They also met with Imperial alumni Rory Ryan, the COO and Co-Founder of Zio Health, a medical device startup, who gave a tour of the electronics market. Some of the students also visited Tsinghua University's X-Lab in Beijing, where they met like minded student entrepreneurs and discussed potential collaborations. Alumni in Hong Kong held a special event for the academics and students who had attended the Forum earlier in the week. The academics discussed their air quality research and Vice President David Gann gave a talk about entrepreneurship and introduced the Enterprise Lab students. Fresh Check - proof of hygiene products. 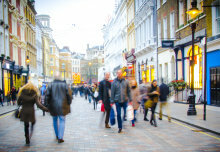 Pluvo - developing street furniture to tackle urban air pollution. ThinAir - Creating a new source of water from the air.